This attractive mobile stand is available in vibrant colors that makes it look all the more special. It just doesn’t help to keep the most Read More..important device of the present world safely but also makes a good industrial gift within affordable range. 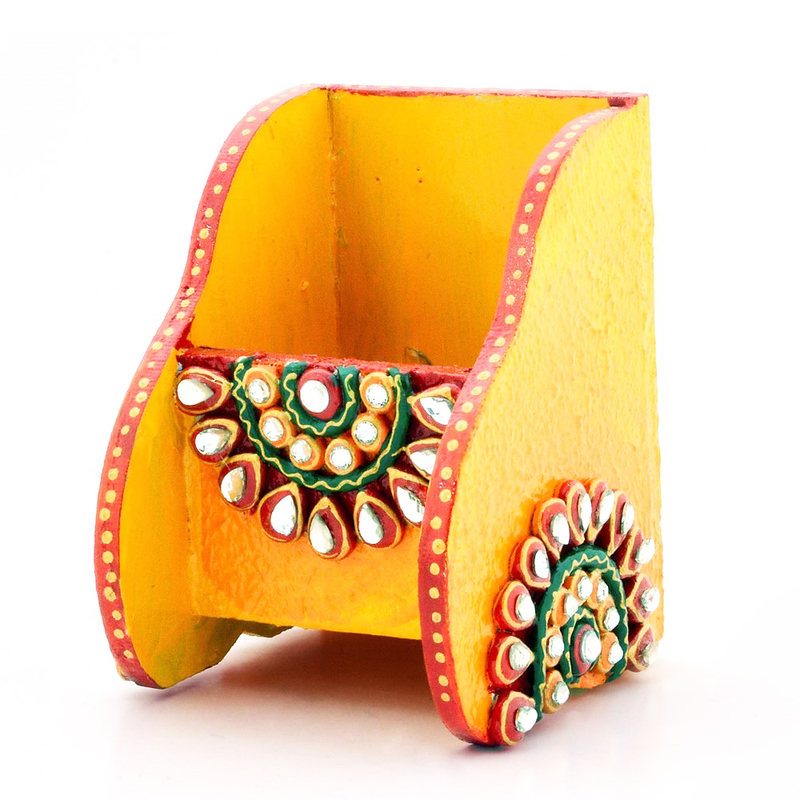 One of the most significant aspects of this product is the delicate kundan work done on this mobile holder. This product is sure to add a touch of beauty in offices, restaurants, houses etc. Show Less..